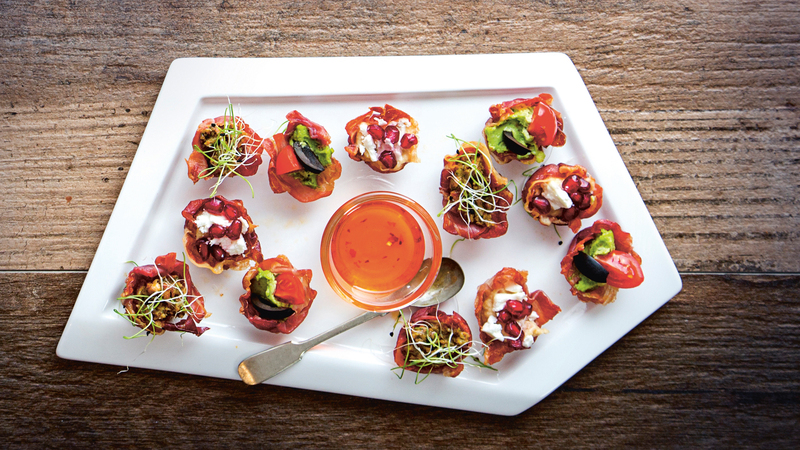 Clare Anne O'Keffe's Parma Ham Canapés are super easy to make and are a great addition to any party. 1. Preheat the oven to 180°C/gas mark 4. Grease a mini muffin tin with the olive oil. strips. Lay each half-slice inside a hole in the muffin tin. Overlap the sides to make a meat ‘cup’. Bake in the oven for 10 minutes. Remove from the oven and allow to cool. These paleo-friendly canapé bases can be made up to 24 hours in advance and filled with your favourite pre-made dip.